Automotive radiator is one of the most important devices of the engine cooling system. The function of this equipment is to remove heat from the engine and to keep the engine operating at the most efficient temperature. Nowadays, in the automotive industry, one of the most important project is decreasing the mass. This chapter focuses on calculation and optimization of finned-tube heat exchanger using several methods. 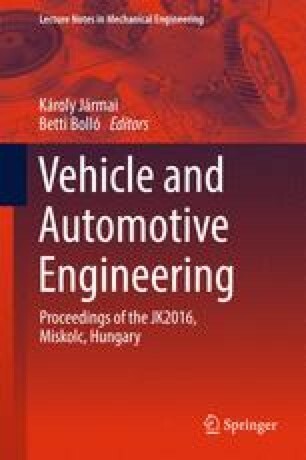 The research was supported by the Hungarian Scientific Research Fund OTKA T 109860 project and was partially carried out in the framework of the Center of Excellence of Innovative Vehicle, Mechanical and Energy Engineering Design and Technologies at the University of Miskolc.